A luxury villa, detached and spacious. Furnished and equipped to very high standards. Wireless broadband internet installed, air conditioned (separate units upstairs and down). 37' LCD Widescreen Satellite TV, DVD player in the lounge and all mod cons in the kitchen. It's in the beautiful, quiet Las Palmitas community of only 14 detached villas with a large shared pool with toddler area, overlooking La Manga Club, with views of the pool, resort, Mar Menor and Mediterranean. Great for candle-lit BBQs with family and friends. La Manga has 3 Golf courses and more in the surrounding area. Tennis facilities are outstanding. The UK LTA use La Manga for their winter training. A new Spa area with many offerings to pamper you. Cricket and Soccer coaching too! We are club members and our renters receive discounts on the La Manga sports. Horse Riding & Tennis: Horse Riding- There is a horse riding stables just off of the complex, their are sign posts around the complex. Rancho Le Fuente, located 2km from the resort offers a wide range of horses. Beach and hill riding are both offered. Tennis-The El Oasis Tennis and Leisure centre has excellent tennis facilities, including more than 30 courts and choice of 3 surfaces . It also has a bowling green. Plus Padel and Squash courts . Guests of the villa benefit from a reduction in the tennis fees. Other Luxury Facilities Available: Beauty Salon, Gym, Spa Jacuzzi and Sauna are available in the newly opened Spa centre on the resort. All kinds of luxurious treatments are on offer from Hair dressing , pedicure, manicure through to massages and spa treatments. At very reasonable costs. You can spend a day being pampered. In the resort centre there is Crazy Golf. Mountain bikes are available to hire. There are also 2 Padel Courts and a Practice Climbing Wall, 2 Squash Courts, Table Tennis, Bowling Green, Boules, Swimming Pools, Physiotherapy, Snack Bar, for the kids. There is a 3-8 year olds club, Child Minding Services and Kiddies pool. Along the way to the strip at la Manga there is a pretty serious go-karting track. Equipment left in the Villa for your use!! : Boogie boards and other pool toys left by previous renters. Board games (just in case the weather should turn). There's an Apple Ipod docking station speaker unit. A DVD Player and lots of DVDS for kids as well as bigger people There is also a DVD hire shop nearby. Many books of all types are in the villa for your use. The villa also offers an outside gas barbeque for those of you who want to dine in the fresh air on a lovely warm romantic evening on the patio overlooking the pool, the resort, the Mar Menor and the Med. Rob runs a Business skills focused training and coaching company and Karen is Head of Faculty for an FE College. We have two grown up children living in London. We tend to use the villa ourselves for 6 or 7 weeks in the year so are always on the look out for things to improve. We have been spending our holidays in La Manga since our children were small. We've always loved the fact that it's easy to get to, safe and has just about every sport and every kind of food that you can think of on the resort. We bought the property off-plan for one simple reason... The Views... On a summer evening we can think of nothing better than glass of wine, BBQ sizzling , seeing the sun go down,the lights twinkling, the peace and quiet of the community with a view to die for.... However you do always the ability to walk down to the busier areas if you want to to sample the various bars and restaurants and we do that too! Families have the use of a shared pool with toddler area that very rarely gets too busy even in high season. Golfers have 3 challenging courses to go at and more nearby. Tennis lovers have every surface and top coaches to choose from. Cricket, football and rugby schools cater for keen kids. Loads of restaurants and bars on resort and just outside. Friendly people and pretty well guaranteed sun. What's not to like?? There is a DVD player and a very wide selection of DVDs. Outside there is also built in Gas Barbeque which makes for lovely evenings spent eating, sipping the local wine and admiring the tremendous views from the villa. 100% refund if cancelled at least 30 days before arrival date. 50% refund if cancelled at least 14 days before arrival date. We had a lovely holiday in this beautiful villa - the views are simply spectacular! A well-appointed villa with outstanding views towards La Manga and the Mediterranean. The elevated position ensures a welcome breeze, even on the hottest days. The swimming pool has a separate toddler pool meaning it can be used by everyone of all ages. La Manga Club resort has very good facilities and the fish restaurants of Cabo de Palos are close by. If you yearn for history head to Cartagena with all its Roman remains. Our family headed for the castle where we could look down on the cruise ships as well as the amphitheatre and arena. So, plenty to keep everyone happy. Thank you for your review. The villa has something for everyone not just sports fans as you have shown. Lovely, clean and spacious villa with a fantasic view. Wonderful villa in La Manga Club. We spent ten days at this beautiful villa with our 3 boys aged 7, 6 & 2 1/2. The villa had absolutely everything we needed, it was so well equipped & really well maintained. The community of Las Palmitas is small with a communal pool, the pool was quiet when we visited at the end of June but it is large enough that I can't imagine it ever getting too crowded & was perfect for our young children. The views from the balcony & roof of the villa are truly something & got lovely sunshine all day long. Finally, the owner of the villa was great to deal with at each step of the way. We would have no hesitation in recommending this villa. Thank you so much for your kind words. So glad you enjoyed the villa and had a great time. We spent a 1,5 week at the La Manga Club/Resort and enjoyed our stay at this wonderful villa (well-furnished/equipped, basically nothing to complain about at all)... La Manga club is a very nice place for people seeking a holiday destination to relax (beautiful facilities to tennis, golf and swim) and spending some hours to get some "sun vitamines". I must say a perfect getaway for our family, when we are bored by a summer of rain only up here in the Netherlands. Look forward to get back to this place in the future. Located in South East Spain on the Costa Calida or 'warm coast'. 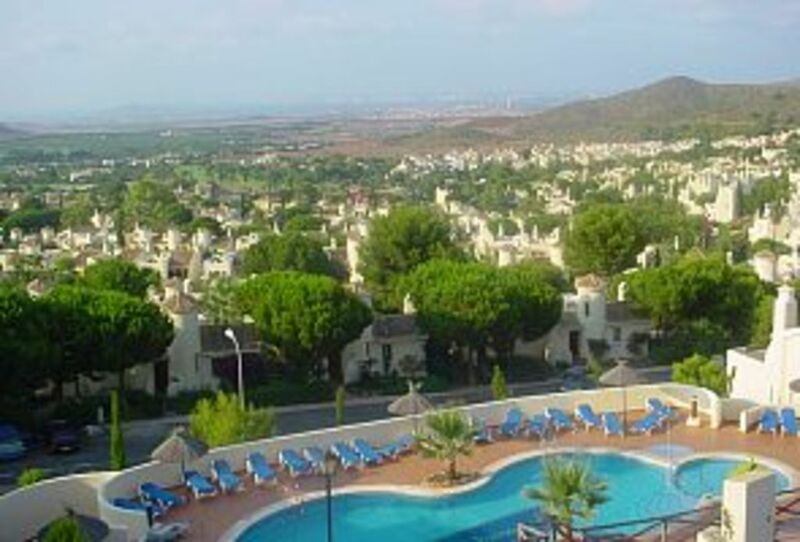 La Manga Club is set in the Murcian hills and bordered by the Mediterranean and the Mar Menor. It is within easy reach of either Murcia or Alicante Airports. The La Manga club boasts 3 golf courses, 30 + Tennis courts and coaches, health spa, equestrian and water sports centres. Around 25 restaurants, 5 bars, piano bars and a fully functioning hotel with night club and casino. The resort also puts on various family activities in the evenings in the summer. The surrounding area (15 minutes by car) has some excellent restaurants and some beautiful beaches. Other Activities: La Manga is a golfer or a tennis player's paradise! Golf: Villa Renters receive major discount on both golf and tennis rates as the villa owner pays annual membership to La Manga club. Competitions are played Monday, Wednesday and Friday with all welcome for a fee of 3 euros. There are 3 courses available on-site at LMC as well as coaching and practice ground. Plus 20 or so restaurants to choose from on-site and too many to mention just off-site. Ski: The High Sierras of Spain are within reach of the La Manga club too!